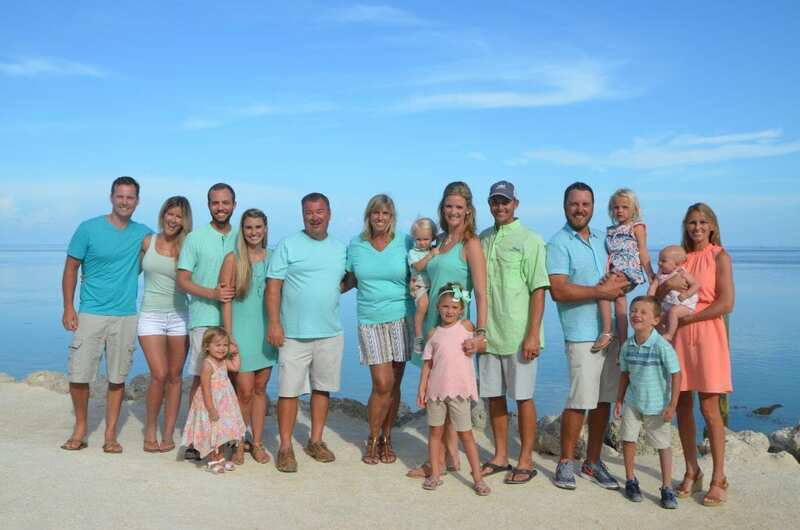 Florida Beach Weddings is a family owned and operated beach wedding company. We have been providing beautiful, unique and affordable beach weddings in Florida since 2007. Our Florida beach wedding packages started out on the beautiful beaches of Daytona and as the demand grew for our classic and affordable beach wedding packages, we began to expand. We are proud to say we now cover all the major beaches in Florida. We understand just how important this day is to you, and make sure that we do our part to make it everything you have been dreaming of. With over 10 years of experience, you can rest assured that your wedding ceremony will be a success. We take care of the beach location, pulling any necessary permits, set-up, break down, and so much more. We can help you with recommendations for other accommodations in the area and provide you with a detailed timeline for your Florida beach wedding ceremony. 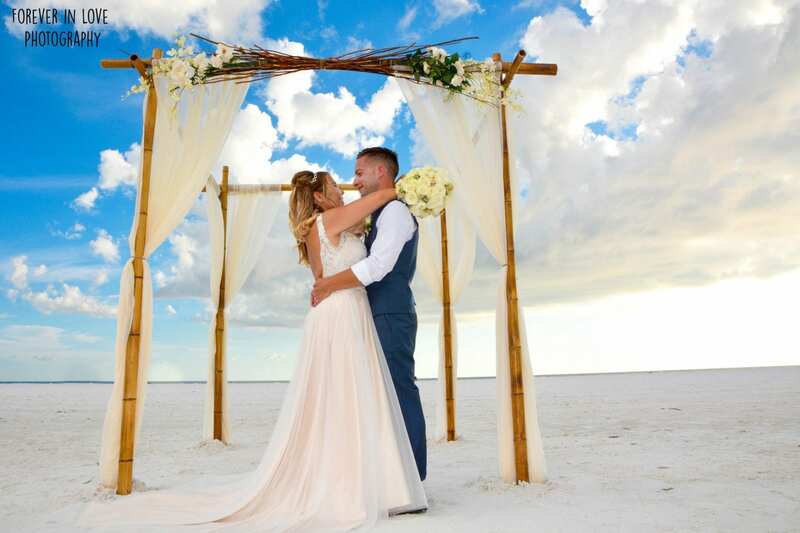 By choosing a Florida Beach Wedding Package, you know exactly what your wedding ceremony will look like and there are no surprises on the beach. Beach Weddings in Florida are meant to be relaxing, stress free and unforgettable. Let us take care of all the work, so you can kick back, relax and truly enjoy your destination beach wedding ceremony. We make sure our beach weddings in Florida stay modern, affordable and timeless. All of our beach weddings in Florida provide you with everything you need for your ceremony. We include an officiant, photographer, set-up, break down, a timeline for your ceremony, and recommendations for local amenities. Dealing with one company for your entire beach wedding in Florida, makes it easy and convenient for you. We understand that you have many options for your destination Florida Beach Wedding. With our company you are more than just “some bride” you are now a part of our family of thousands of couples that have chosen us for their beach weddings in Florida. We have a wide variety of styles in our beach wedding packages, so you are sure to find one that not only fits the needs and budget of your wedding, but all of your design ideas as well. Not only do you have many options for decor, but you have your choice of what city your ceremony will take place in. Our Florida beach wedding company covers all the major areas in Florida, from the panhandle all the way down to the beautiful beaches in Naples, Florida. Not sure what city to choose? Take a look at what each city has to offer here. We understand that you have chosen a beach wedding to escape the every day stress and expense of a formal, traditional wedding. We make sure it is easy for you to see photos of all of our beach wedding decor, and let us know your choices from the comfort of your own home. Planning a destination beach wedding has never been easier. All beach weddings in Florida are something to be remembered. Our Natural Distinctive Design Package is a favorite among our staff and brides. A beautiful, natural bamboo canopy draped elegantly in white or ivory and complete with a branch and floral topper is accompanied by a beautifully draped aisle-way with matching bamboo poles and floral decor. Want to add a pop of color? You can add a spandex chair sash in one of our many color options to truly make the wedding yours. This beach wedding set-up not only comes with beautiful and unique decor, but little touches that really add to your beach wedding ceremony. We provide a chalkboard sign with the newlyweds name on it by the ceremony, a water and lemonade station for all of your guests to enjoy on the beach, a large heart sand vase for your sand ceremony and Just Married hats for the newlyweds! Interested in finding out more about this package? Check out all of our Distinctive Design Packages Here.